We have been yearning for the hoverboard technology ever since it premiered in series like Back to the Future and Real Adventures of Johnny Quest. But, due to the complexity of the underlying technology, no hoverboards have yet been able to accommodate a real person during its flight. 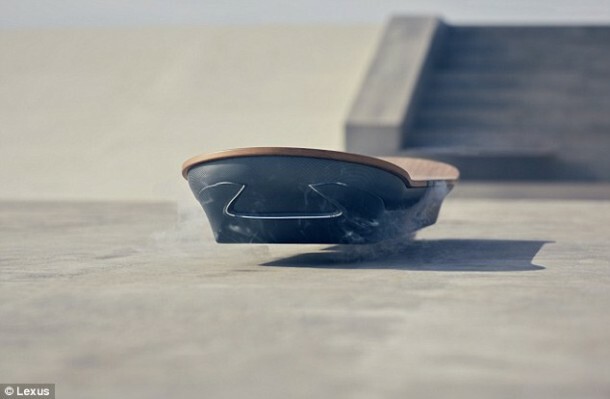 It has largely been agreed that the future hoverboard’s levitation effect will come from the application of electromagnetic levitation rather than any propulsion. But in addition to the electromagnetism, the new board also uses liquid Nitrogen in some capacity. The new attempt at the hoverboard is called slide and it can lift itself off the ground and carry a person. 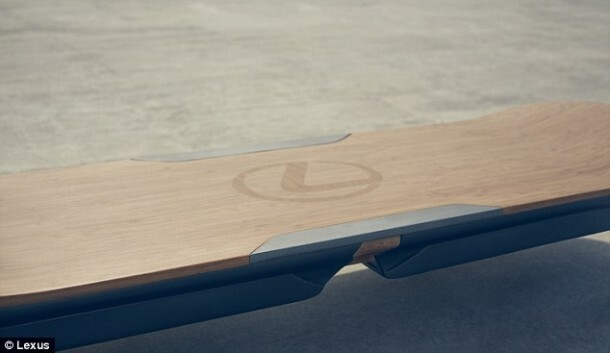 Not enough technical details regarding the board of our dreams are available, and the sole source of information is a video released by the Tokyo branch of Lexus, the company behind this invention. The project is a part of Amazing in Motion campaign by the Lexus company that has produced an 11 feet tall android, a swarm of quadcopters and mannequins performing in Kuala Lumpur. We see in the video how a young man is getting off from his boring regular board and then moves towards the Slider board. It really seems to be levitating in thin air. It seems to be a remarkable feat of engineering and a long-awaited ride for us. Due to the brand image of Lexus, it is unlikely that is an edited video. The video is real but to see an actual hoverboard is mesmerizing for us. I bet there are many technical difficulties to overcome before we can actually see it. There had been an attempt of making a working hoverboard before as Kickstarter attracted the Hendo hoverboard that could levitate and move across a floor of some conductive material to create a secondary field. The Lexus spokesperson told the media that there won’t be any disclosure of information before the end of the month when the board could be unveiled for the cameras. However, we cannot help but feel suspicious about the whole thing. The electromagnetic levitation needs a particular surface to float on. In the video, the guy appears to be doing so on concrete that doesn’t seem to make sense. 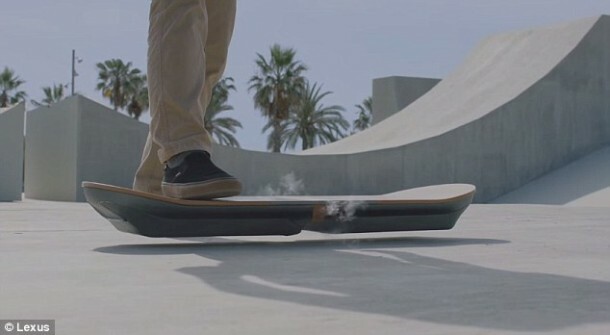 Maybe there is a secret to the smoking sides of the hoverboard. They must contribute towards its function in some aspect. We all are dying to hear the next piece of information from Lexus as we have our hopes and curiosity levels reaching maximum levels. Hopefully, we don’t have to see another publicity stunt and get the board of our dreams!